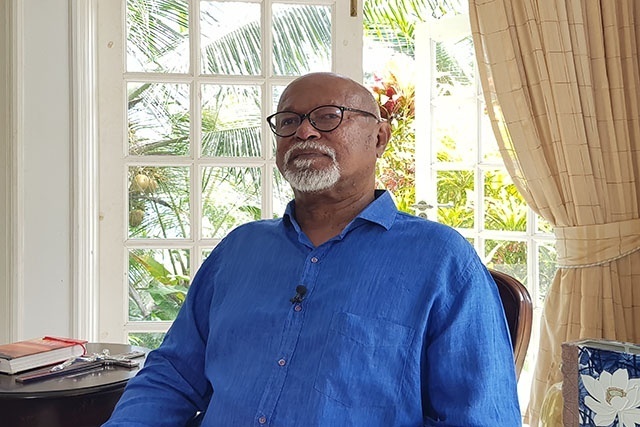 (Seychelles News Agency) - The former Speaker of the National Assembly of Seychelles and elected member of the district of Anse Boileau, Patrick Pillay, said in an interview Wednesday that he resigned his position this week for both political and personal reasons. Pillay said the country is not going in a good direction. "The Seychellois suffer. Cohabitation is not working, so as the Speaker of the National Assembly, I decided to resign," Pillay said. On the personal side, Pillay said it has to do with the charges that had been made by members of the Assembly and that had to be settled outside the court. That, he said, has been postponed several times and he had asked that the case be settled before January 30. Pillay said that since the conditions were not respected, he could not remain as Speaker of the National Assembly as members had no respect for him and had not honoured their commitment. After the 2015 presidential elections, Patrick Pillay's party, Lalyans Seselwa, joined the Linyon Demokratik Seselwa (LDS) -- an opposition coalition comprising of three other parties -- formed in 2016 to contest the National Assembly elections. The former Speaker said he felt marginalised within the LDS coalition. "There are some people who think that I am blocking their way. I am not ready to sit and prevent people from achieving their ambitions -- that's another reason for my resignation,” he said. Pillay added that he had informed the LDS of his decision to resign since Sunday, January 28 and that all members were also informed. "When I decided to come out of my political retreat, my mission was to remove the Lepep party that has been in power for 41 years this year and my desire remains the same," he said. Pillay reiterated that he still wants the presidential elections to be held this year. Last year, Pillay started a campaign to demand for presidential elections to be held but other LDS members did not follow suit. "This month, I heard Mr. (Wavel) Ramkalawan say that there must be elections this year, but I did not say that last year," said Pillay who reiterated that he had no problem with any LDS member. Pillay said that the committee of his party -- Lalyans Seselwa -- will be meeting soon to decide the future of the party with the LDS. Pillay -- a former minister in the government lead by the Lepep party formed his own political party with mainly former members of this party to contest the presidential election in 2015. He came out third in the first round with a score of 14.19 percent. "I have the support of the majority of members, but there are some people who have expressed that they are against me," said Pillay. 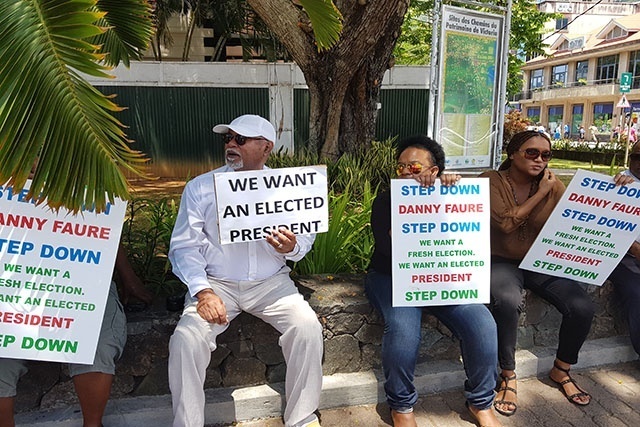 He also said that Lalyans was going to decide if it will have a candidate for the by-elections in the Anse Boileau district on February 24-25.